Fox got three-series lighter on Thursday when it decided not to renew “Brooklyn Nine-Nine,” “The Mick,” and “Last Man on Earth,” for a sixth, third and fifth season, respectively, just ahead of its upfront presentation in New York Monday. Well, even though your heart might be breaking over the decision, there is some method to the network’s madness here — even if it’s not an explanation you’ll like. Let’s start with the series’ ratings, the biggest indicator of whether or not a show will be granted another season. According to the most current data from Nielsen, which includes a week of delayed viewing where available, the Andy Samberg-led “Brooklyn Nine-Nine” was averaging a 1.2 rating in the advertiser-coveted demographic and 2.7 million total viewers in its 8:30 p.m. Sunday time slot, and Will Forte’s “Last Man on Earth” settled for a 1.2 rating and 2.8 million viewers later that night a 9:30. “The Mick,” starring Kaitlin Olson, was managing a 1.2 rating and 3.1 million viewers at 9:30 on Tuesdays. All three shows (plus “Gotham”) were tied as Fox’s 13th highest-rated scripted programs out of 20 total shows. The only lower-rated scripted series currently are “L.A. to Vegas,” “Lucifer,” “New Girl” and “The Exorcist.” “L.A. 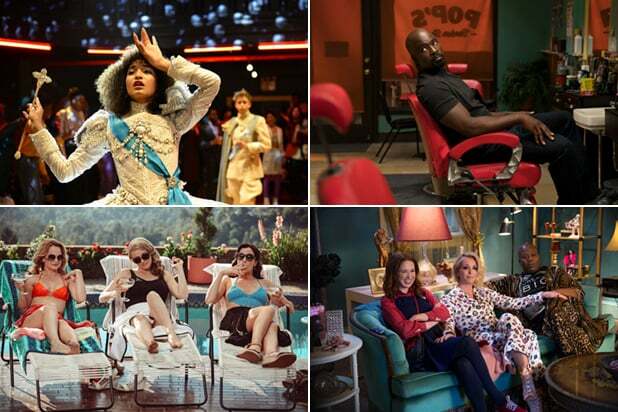 to Vegas” is still on the bubble, as is “Lucifer.” “New Girl” is ending, and its 0.9 rating is at least partially reflexive of the fact that it premiered more recently than most series’ current seasons, so the delayed viewing numbers are not complete. “The Exorcist” is a Friday show and it’s going the way of the dodo. A Fox insider cited the network’s added night of “Thursday Night Football” and “a large portion of our new series renewed” as reasons for the trio of cancellations. So far, the broadcaster has renewed “The Gifted,” “9-1-1,” “The Orville,” “The Simpsons,” “Bob’s Burgers,” “Family Guy,” “Empire,” “The Resident,” “Star” and picked up “The Cool Kids,” “The Passage,” “Proven Innocent” and “Rel” to series. Out of that fresh batch of shows, just “The Cool Kids” and “Rel” are sitcoms — so that’s not enough laughter to fill all three slots Fox just cleared. However, there is lots of speculation that Tim Allen’s “Last Man Standing” will be revived by the network, following the success among conservatives of ABC’s “Roseanne” revival. When it comes to the future of all entertainment series at Fox broadcast, there is a general level of uncertainty due to the sale of the 20th Century Fox studio to Disney (or possibly Comcast) that could close within the year. If that happens, Fox TV loses its built-in pipeline for new programming. And it’s important to note that, while “Nine-Nine” is a Universal Television property (keeping it out of the Mouse House’s reach), “Last Man on Earth” and “The Mick” hail from 20th. OK, now let’s set all of that aside and talk about what could have stopped Fox from killing the comedies. “Brooklyn Nine-Nine” is a critical darling, with both the show and star Samberg taking home Golden Globes as freshmen. And its other lead, Andre Braugher, is a regular awards show nominee. “The Last Man on Earth” had been chugging along with modest ratings for a while. And, as for Olson’s “The Mick,” (only in its sophomore season), that sitcom was new enough to have plenty of room for growth. But apparently not enough for Fox. The (now) series finale of “Brooklyn Nine-Nine” airs May 20 at 8:30/7:30 c on Fox.